If you want to read the most cogent piece of urban writing we are likely to see in the English language in 2011, just read "The Wire" creator David Simon's response to a comment by the current Baltimore Police Chief Frederick H. Bealefeld III that his show and its depiction of Baltimore were a "smear on this city that will take decades to overcome." Simon's letter is unflinching, direct, brutally efficient and unrelenting in arguing that he was calling it like he saw it, and that it was the police department and the political establishment which must take responsibility for a long history of obfuscation and false representation when it comes to crime and decay in Baltimore. This debate about Baltimore, its image, and the role of both leaders and writers in producing and promoting that image is one that hits home for many cities around he world. I have had a bit of a lucky streak of late, as life, love and weddings have spirited me away to some of the most interesting and infamous cities on this side of the Urals - Beirut, Detroit, New Orleans. Dynamic cities all, rich in history, culture, immigrants, gastronomic delights, street art, architectural marvels, grassroots politics, complexities, miseries and quandaries. Yet try as we might, it is often hard to see through the blunt symbolism that disaster has foisted upon all three - add in Baghdad and perhaps now Juarez and you have a Mt. Rushmore of cities whose names evoke an image of crisis. Beirut, for all of its urban dynamism, obscene property values and downtown redevelopment, still conjures up images of the civil war and the Green Line, even if the space of the Green Line is now the heart of upscale, gulf-oil-money driven redevelopment and it' name part of a new branding campaign. Our image of Beirut as urban war zone - aided by the current troubles and the 2006 bombings by Israel - also serve to mask the intense poverty of the former Palestinian refugee camps like Sabra and Shatilla, which are now classic informal settlements woven into the dense urban fabric of the southern suburbs, or the more mundane issues of traffic, lack of public space and an almost non-existent public transit program. 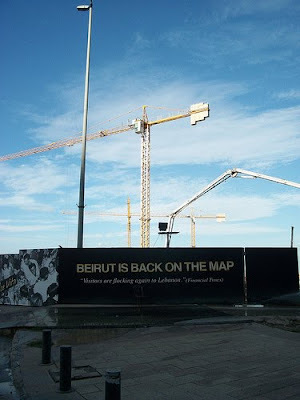 Beirut as war zone masks the reality of the fact that the poor in Lebanon, as my Beiruti friend Hanna says, "are fucked." It is a similar story in Detroit and New Orleans. Detroit suffers from being both symbol of despair and symbol of hope, torn between overly rosy dreams and overly bleak depictions of horror, missing the mundane stories of black middle class families, Bangladeshi shopkeepers or mildly successful redevelopment. 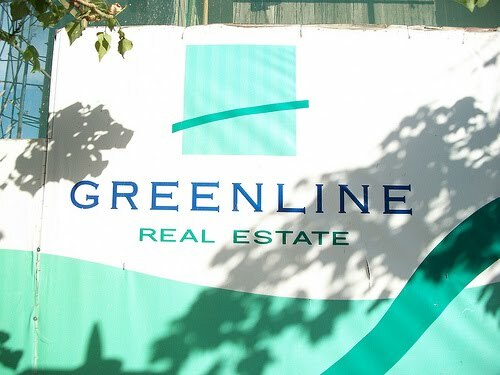 In New Orleans, Katrina can mask the inequities that produced Katrina - "rebuilding" forgets that it was the dramatic inequalities and brutal contradictions that made the city so vulnerable to a "natural disaster" in the first place. If we can see past the city as symbol, we will notice those little moments which show the paradoxes which make cities real. On a warm fall day in November, I was in Treme, the New Orleans neighborhood famed for its music and the subject of Simon's current urban portraiture. 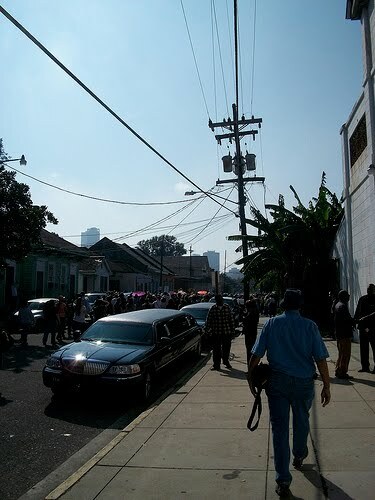 While walking in a jazz funeral for local legend Walter Payton Jr., a classic and beautifully New Orleans celebration of a live well lived, we passed by a church, limousines parked quietly out front, where another funeral was being held, in this case for a young black man killed by gun violence the week before. This moment in Treme also makes you realize the true mistake that the Chief made when describing Simon - "The Wire" is so popular and such a brilliant pedagogical tour because it is not all sturm und drang or rosy imagery, it does not treat Baltimore as a symbol but rather captures the bitter and the sweet and the bittersweet in 66 hours of brilliance. Other cities should be so lucky. 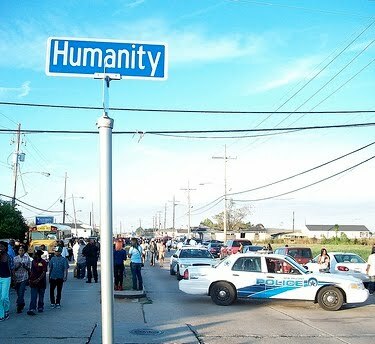 Credits: Photos of Detroit, Beirut and New Orleans by Alex Schafran. Video of Walter Payton's jazz funeral by aigesscott.